Part of the "job" of this Archangel is to make us more aware that we are always receiving messages from the Universe, they are all around us and yet so often we walk right past the signs and omens that were designed to answer our every question or the signposts that point the way to our greatest success and fulfillment. Working with this Angel helps to instill a sense of childlike joy and wonder, turning the process into a game in which one asks a question of the Universe and then sees how many signs one can find in a single day. The means through which the Universe and this Archangel uses to answer questions we have been asking or to send us the sign posts to which way we need to turn in our lives next is truly extraordinary. Even simple tasks such as going to the supermarket and noting which items seem to be calling your attention, noting what the person behind or ahead of you in the queue is saying to someone else, seeing something in the sales bin that relates directly to your question in some way (and shows that the solution or answer takes less time and energy than you might have thought!) can be used as a guideline for greater awareness. Gabriel is also the bringer of resurrection and the knowledge that nothing ever dies but simply changes to a different form and is born anew in other realms of existence. For those whose life path involves channeling in all it's forms, Gabriel is present, helping to keep the airways clear and to help the channel to focus upon the highest and purest aspects of the messages. This Archangel when called upon will greatly assist the channel in tapping into their highest guides and teachers that information that can truly serve and support others may flow easily. At times the messages that come through may sound harsh to some and yet Gabriel seeks to bring awareness above all and will use any means possible to get the message across in the way the person needs to grab their attention. Gabriel has been known to bring messages of good cheer and hope as well as words and dreams of warnings. Yet as with all things on this level of the Universe he will not interfere with another's free will. It is his purpose to deliver the message and then to stand aside and allow the individual to act or not act upon it as they see fit. One know that it is indeed Gabriel who is speaking to one when the emotions come into play and the taking or not taking of action brings either great joy or a profound sense of relief, even though it may be tinged with some sorrow. 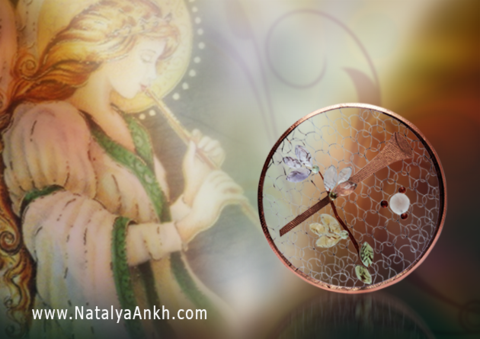 Archangel Gabriel Disc will help you to connect easier with energy of Archangel Gabriel. 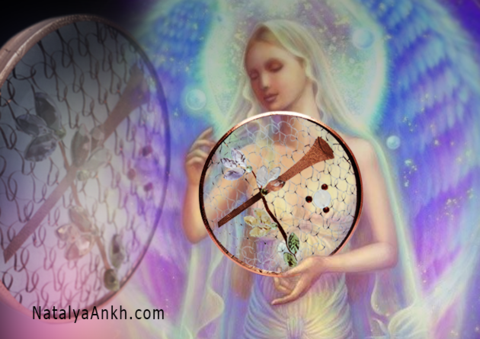 It will help to Increase the flow of love, prosperity, and wealth into your life. 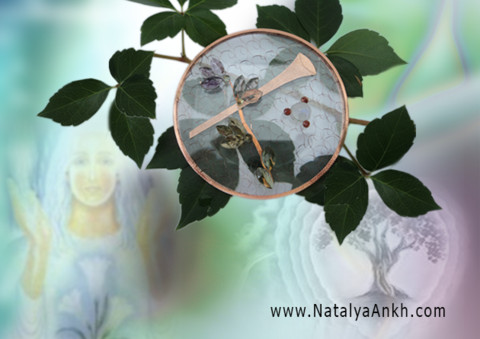 This amazing tool will help you to link to your own higher self, help to bring forth your subconscious connection to your divine plan, your earthly mission. Love, Light, Abundance, Peace, Harmony and Bliss – these are the words to describe this magnificent angel. But Archangel Gabriel stands for so much more. 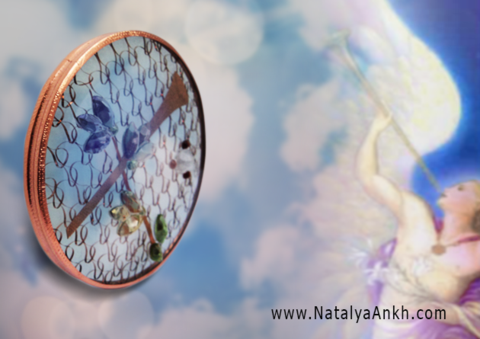 Gabriel stands for a direct link to your own higher self, direct link to bring forth your subconscious connection to your divine plan, your earthly mission.